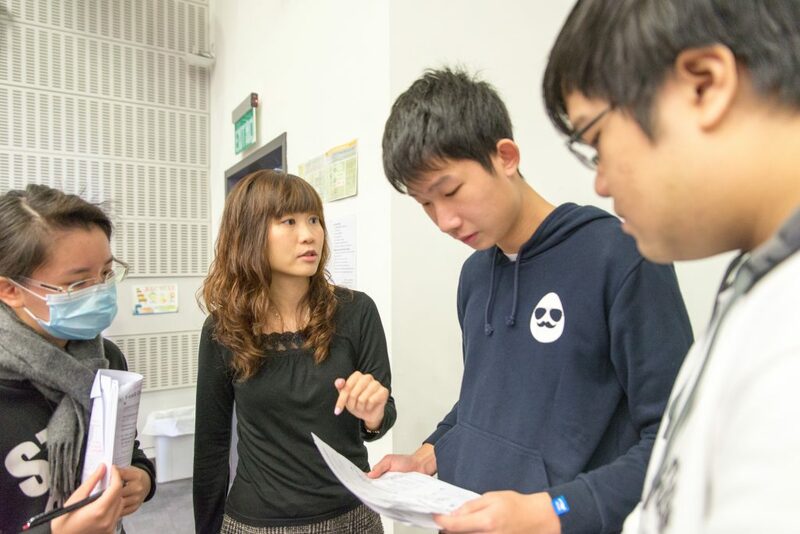 You have applied co-teaching to your course with very good results. Could you share with us your experience? Why would you adopt such a mode of teaching? 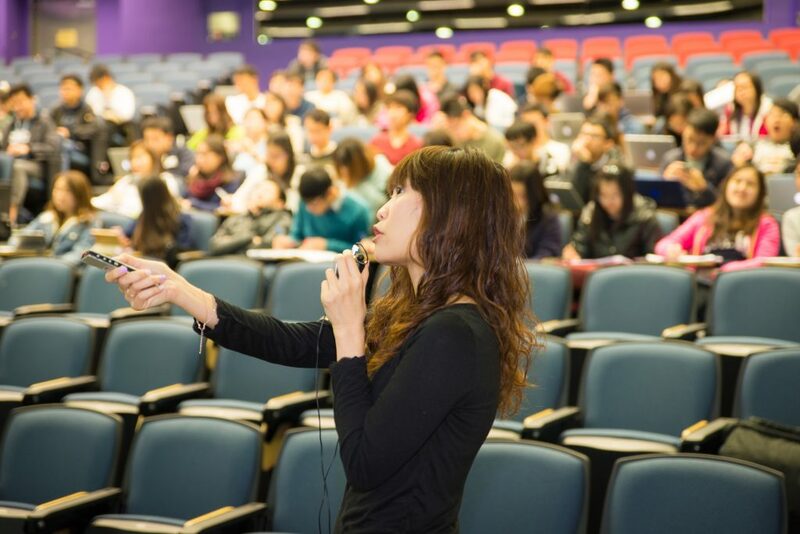 The General Education (GE) course that I teach aims mainly to introduce the common illnesses in Hong Kong, such as influenza, dementia and arthritis. The course is made up of two parts. The first part is delivered by me, teaching the basic knowledge of various diseases. As for the second part, we invite medical practitioners from the Prince of Wales Hospital to come and share with students relevant clinical experience they have encountered. I have adopted co-teaching because students taking this course are from different faculties and probably not every one of them has a solid foundation in scientific knowledge. With this mode of teaching, I hope to help them learn step by step starting from the essentials, ensuring that they have acquired the basic scientific knowledge before delving into the details of various diseases. This can enhance students’ efficiency of learning. Apart from co-teaching, have you adopted other supplementary teaching methods? Often there are students telling me that certain parts of the course contents are too complicated and they find them hard to understand. A few years ago, I applied for a subsidy to develop a software for assisting students’ learning in their spare time. The software consists of several parts. There is a glossary that I compiled by extracting difficult phrases and terms from the lecture PowerPoint presentations. There are also animations that I produced to explain some of the more abstract concepts, like the life cycles of influenza virus and HIV virus, so as to enhance students’ understanding. Apart from that, I have set up a question bank specifically for this course. When I first started teaching the course, several students asked me whether there were any supplementary exercises for them to do. The arts majors, in particular, tend to think science courses are difficult to handle and want to do some practice exercises before the final exam. As the course curriculum is not developed on the basis of one single textbook, it is rather hard to look for exercises which are ready for use. I decided to establish a question bank for my students. In order to enable them to learn from one another and at the same time to encourage their participation, I do not set the questions myself but invite each of them to devise and submit one question. I will then collect all the questions and create an online question bank. Students who have submitted questions would have the right to get access to the question bank. Although this is a voluntary activity, more than 70% of the class have participated. How do you usually interact with students in class? I tend to listen to students’ opinions so that I can truly understand how they feel. At the beginning of each semester, I would invite every student to fill in a questionnaire. This allows me to know more about students’ academic backgrounds, expectations on the course, areas of interests, etc., and to modify the course contents accordingly. Besides, I would incorporate different class activities in my teaching to make the class more interesting. For example, I have introduced uReply to the classroom which enablesstudents to answer questions using their mobile phones, and I have made played video clips of plays and films related to the course contents. What are the differences between teaching major courses of your Department and GE courses? One of the differences is that students taking GE courses come from diverse backgrounds in terms of their knowledge of science and former learning experience. To cater for each student’s need, it is necessary to adjust the level of difficulty so the course will neither be too easy or too challenging. Another point is that the majority of students select GE courses according to personal interest. I hope that they can really gain something after completing the course and can apply what they have learnt. For this reason, I always utilize in class examples of everyday life to help them link the knowledge acquired to daily living. And I have to revise my teaching materials on a regular basis to keep them up-to-date. In recognition of the contributions of teachers who offer General Education courses, the Senate Committee on General Education (SCGE) resolved in 2006 to launch the Exemplary Teaching Award in General Education. Nominations are invited from all the GE teachers and undergraduate students. The nominations are reviewed by the SCGE Standing Committee basing on the course design, teaching and learning activities, and tutelage in the General Education courses they offered.